Welcome back, readers!! We are checking in today on the bus ride home from our fabulous overnight to Acadia National Park. We left for our adventure on Tuesday and arrived to the campsite in time to pitch our tents and cook dinner while it was still light out. Thanks to Alex Weinberg, one of our madrichim (counselors), who made a siyyum on Mishnah (a ceremony when someone finishes a section of the Mishnah), we were able to have a BBQ and eat poike (meat stew) on the bonfire! On Wednesday, we started our day early by making eggs at the campsite a nd getting to Pirate’s Cove mini-golf by 9am. The chanichim (campers) impressed us with how many hole-in-ones they got. From there, we went straight to Bar Harbor and had some free time to walk around and buy ice cream and moose apparel! After that, we went to the Atlantic Climbing School where we split up into three groups to go cliff climbing or bouldering. 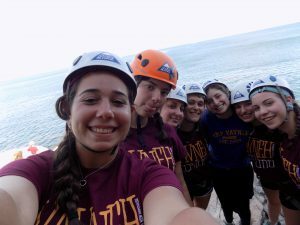 It was pretty exhilarating to climb 30-50 ft cliffs and then repel down over the Atlantic Ocean. Some chanichim left saying it was the coolest thing they’ve ever done in their lives. We returned to the campsite to make another siyum by Elisha Galler, another madrich, and then had dinner and a bonfire wi th s’mores! On Thursday morning, we packed up and went for a scenic hike on the Champlain trail and ended up at the Sand Beach. 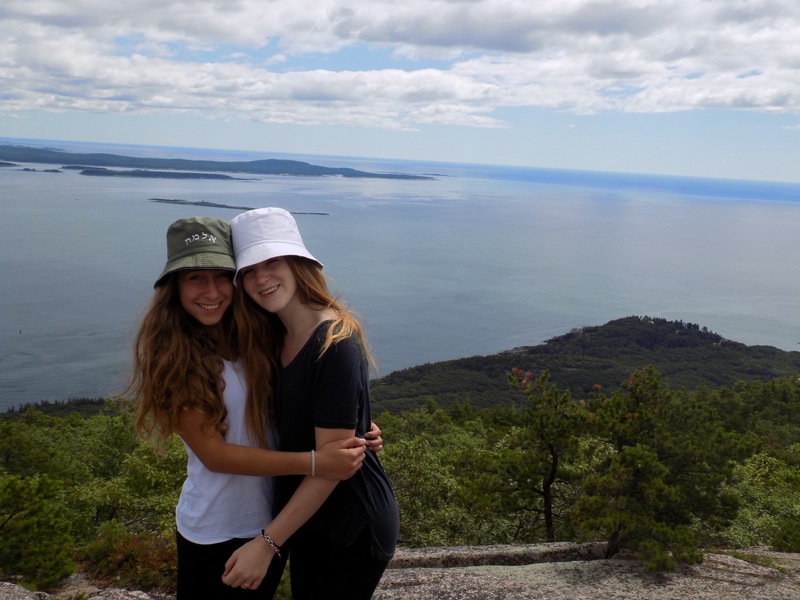 It was an incredible bonding experience, and throughout the entire trip we were so proud to see how much our aydah (unit) is coming together. We can’t wait to check in with you again soon!